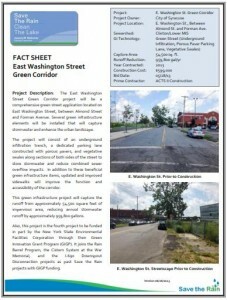 The East Washington Street Green Corridor project is a comprehensive green street application located on East Washington Street, between Almond Street and Forman Avenue. Several green infrastructure elements were installed to capture stormwater and enhance the urban landscape. 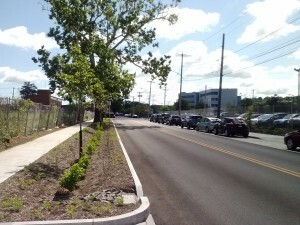 The project consisted of an underground infiltration trench, a dedicated parking lane constructed with porous pavers, and vegetative swales along sections of both sides of the street to store stormwater and reduce combined sewer overflow impacts. 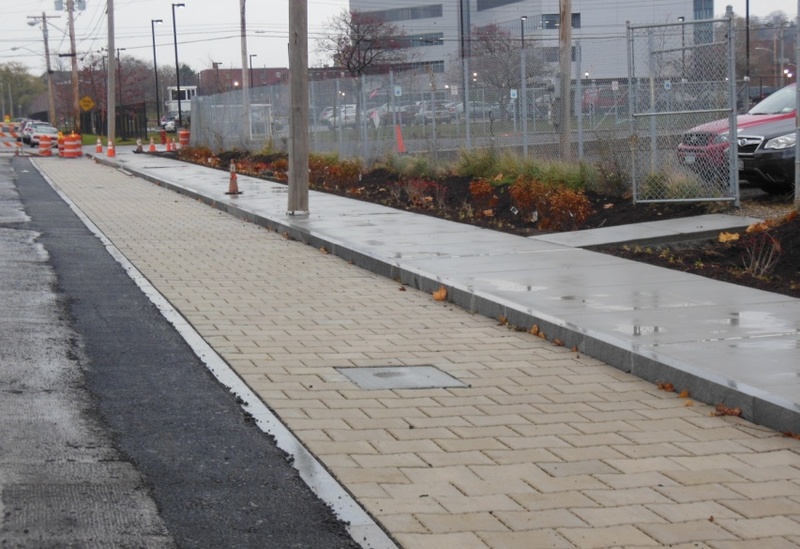 In addition to these beneficial green infrastructure items, updated and improved sidewalks improve the function and accessibility of the corridor. This green infrastructure project captures the runoff from approximately 76,900 square feet of impervious area, reducing annual stormwater runoff by approximately 933,000 gallons. The green infrastructure installation was completed in 2013 and the restoration of the road was completed in 2014. 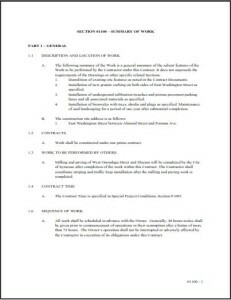 This project is the fourth project to be funded in part by the New York State Environmental Facilities Corporation through their Green Innovation Grant Program (GIGP). 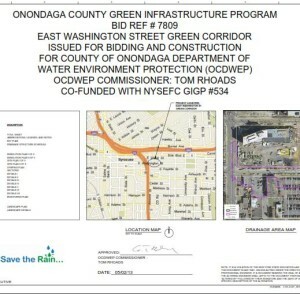 It joins the Rain Barrel Program, the Cistern System at the War Memorial, and the I-690 Downspout Disconnection projects as past Save the Rain projects with GIGP funding.